Single Transferable Vote (STV-BC) is the system that was proposed by the Citizens Assembly on Electoral Reform in BC in 2004. The government required that it pass with a supermajority of 60%. It was put to referendum in 2005 (57.7% voted for) and again in 2009 (39.1% for). The system would have fewer, larger ridings, which would elect multiple representatives. 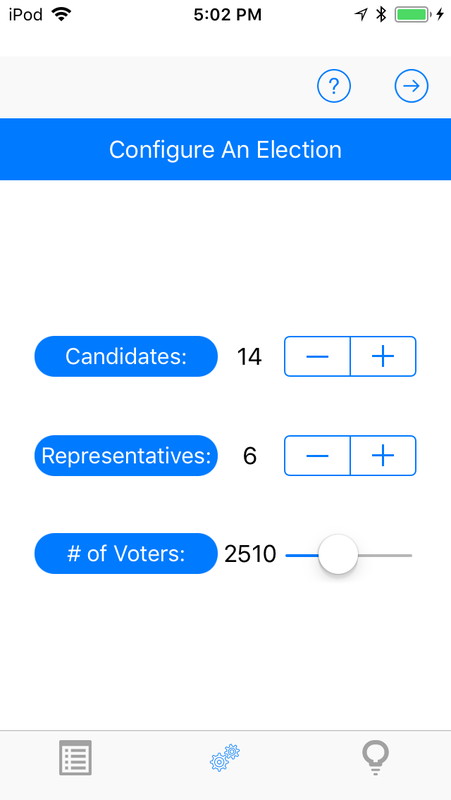 As well, although each voter has a single vote, in certain circumstances it could be apportioned to different candidates based on the ranking order indicated by the voter. 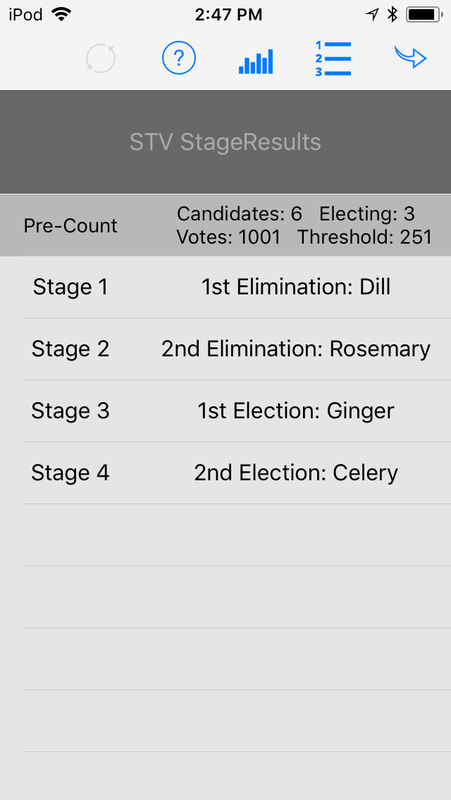 explorePR provides a working example of the STV-BC system allowing you to familiarize yourself with the voting, counting and vote distribution methods. 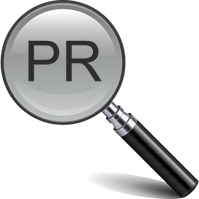 There is also background information on the pros and cons of proportional systems in general, as well as different specifics of PR employed around the world. 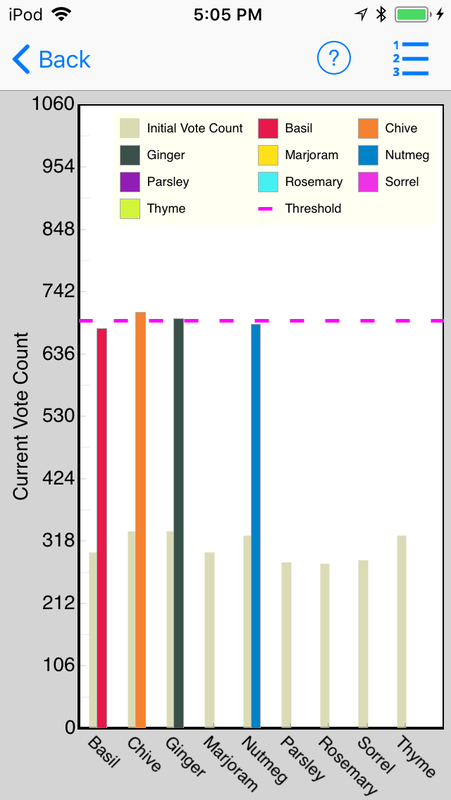 View the results at each step of the counting process. See a visual representation of the current standings along the way. 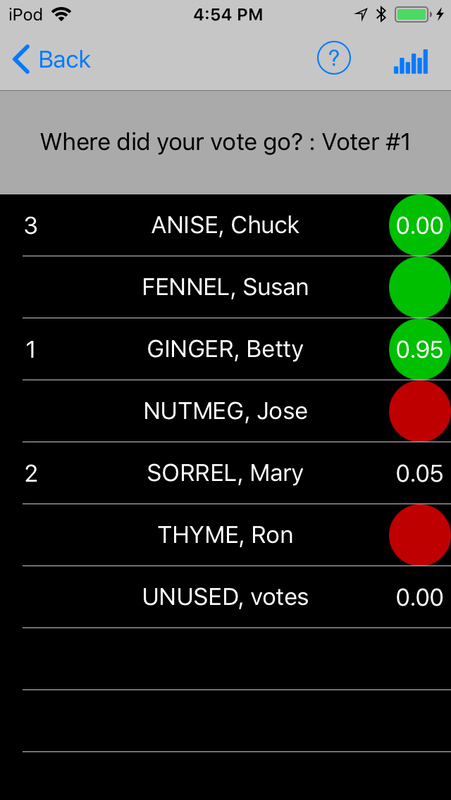 See how your single vote was apportioned to the candidates you voted for. When a candidate is elected, any amount above the threshold is redistributed, proportionately on each ballot to the next ranked candidate. 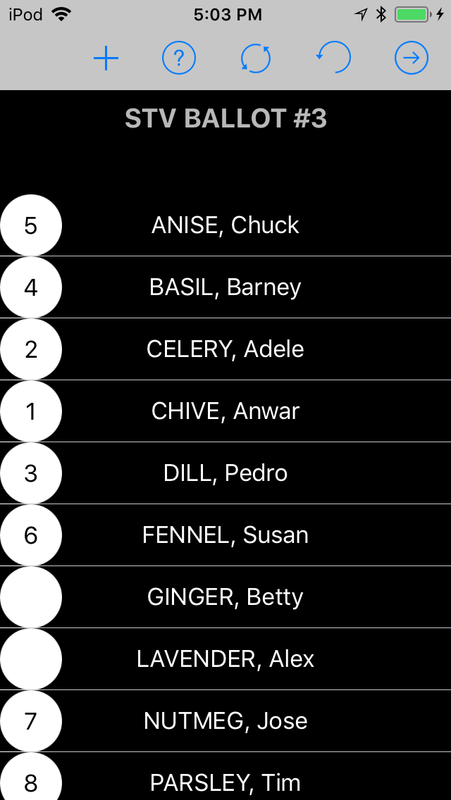 Adjust the numbers to simulate different configurations. See pros and cons of different systems. 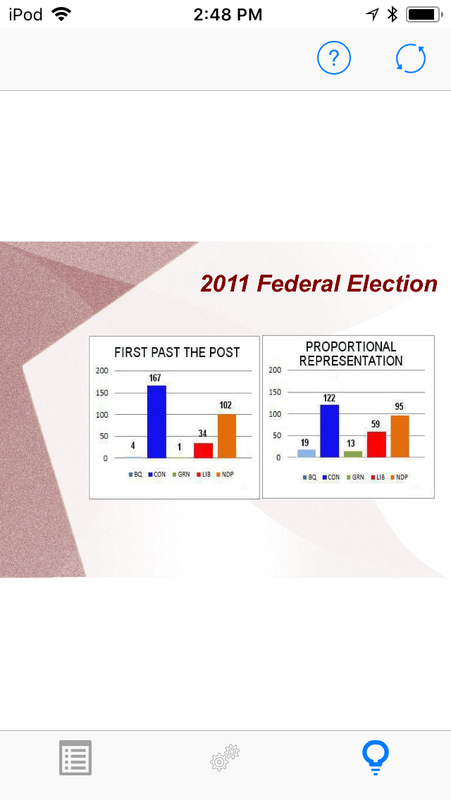 If you're just starting out and would like to take a look at some of the basics of Proportional Representation.